Berlin, 17 January 2019 – A forward-looking trade show for a new generation of travelers: following its successful launch in 2018 the second edition of the Berlin Travel Festival will be taking place from 8 to 10 March 2019 at Arena Berlin. Taking as its slogan ’Travel Different’, the official partner event of ITB Berlin brings together adventurers, explorers and today’s brands. With its festival atmosphere, the event celebrates innovative entrepreneurial spirit and perfectly complements the long-standing ITB Berlin on the Berlin Exhibition Grounds which has run for over 50 years. More than 100 exhibitors will be presenting their products, including Mercedes-Benz MYVAN, (content platform for van enthusiasts), roadsurfer (camper van rentals) and PiNCAMP by ADAC (camping portal). International destinations – from the Caucasus to Australia – will be represented, as will local regions such as South Tyrol, Sylt, Mecklenburg-West Pomerania and Brandenburg. At the same time numerous companies which subscribe to sustainable tourism concepts have announced their participation this year, including Dr. Bronner's ALL-ONE!, COTOPAXI, Abury, Fairaway | Better Places Travel and Little Sun as well as Tentsile Tree Tents, Green Rooms and Feel the World Travel. Both exhibitors and events at the Berlin Travel Festival will focus on the current topics of sustainability, digital connectivity, innovation and community. Well-known speakers, adventurers, activists, journalists and wellness gurus will share their experiences at lectures, workshops, master classes and film screenings. Kicking off the festival programme will be the ’Shop Shift – A Trend Lab for Creative Minds’ conference on Friday, 8 March. At this one-day symposium experts will reveal their forward-looking travel retail strategies, from omni-channel presence to trendsetting brand experiences. On Friday, 8 March at a press preview journalists can find out more about the Berlin Travel Festival’s concept and exhibitor highlights, including South Tyrol, B Corp. and The Grand Hostels. This will be followed by a tour of the Experience Floors and Campus. Members of the media can obtain online accreditation now. Tickets to the Berlin Travel Festival from 8 to 10 March 2019 at Arena Berlin are available online now from berlintravelfestival.com/tickets. Members of the public can choose between family and day tickets. On Friday, 8 March, which is International Women’s Day, ladies will be admitted free of charge. Travel pros in possession of a trade visitor ticket can attend the Shop Shift conference and the festival’s weekend programme at no extra charge. 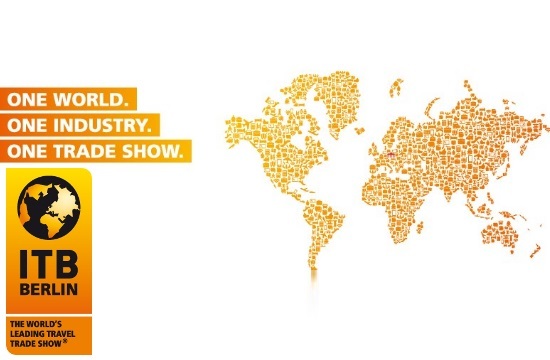 For trade visitors and exhibitors at ITB Berlin admission is free on all days of the event. The Berlin Travel Festival is a unique format that opens up new perspectives for curious adventurers. Organised by I LOVE TRAVEL GmbH in partnership with ITB Berlin, the three-day festival brings together people, stories, products and brands and focuses on a socially and ecologically responsible approach to future travel planning.